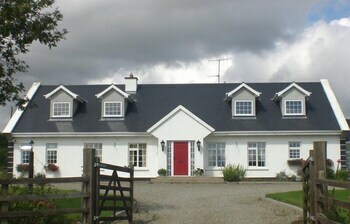 Located in Camolin, Kilbora B&B is within a 15-minute drive of Ferns Castle and Craanford Mills. Free self parking is available onsite. With a stay at Beautiful Apartment Heart of Dublin City in Dublin (City Centre Dublin), you'll be a 4-minute walk from James Joyce Cultural Centre and 7 minutes by foot from Garden of Remembrance. With a stay at Cherry Tree Guesthouse in Killarney, you'll be within a 5-minute walk of Killarney Methodist Church and Killarney House Gardens. Free self parking is available onsite. When you stay at Moyrhee B&B in Limerick, you'll be in the suburbs, within a 15-minute drive of The Treaty Stone and King John's Castle. Free self parking is available onsite. When you stay at Bearna Rua Lodge in Rathcoole, you'll be 15 minutes by car from Tallaght Stadium. With a stay at Wards Hotel in Galway, you'll be within a 15-minute walk of South Park and Galway City Museum. Free self parking is available onsite.